This is Aashwin shukal paksh’s sardiy Navratri. It is also known as Navratri of getting power. 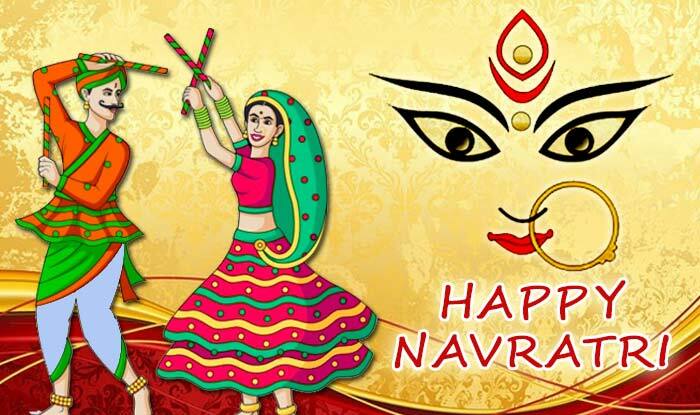 This year Navratri will start on 21st September and will end on 30th September. This year Navratri remains for 9 days. Clean your home before starting of Navratri. Keep Devi image or idol on worship place. Arrange one urn, mango leaves and barley. Also, arrange one big dipak of mitti. Keep red sandalwood Rudraksha garland to chant psalm. Do not keep onion and garlic in the home. Worship all 9 days of Navratri. Worship in morning-evening. Chant psalm and do Aarti in morning-evening. One can worship any psalm according to your needs for 9 days. You can also chant Durga Saptsati. Offer different dainty during 9 days. Otherwise daily offer 2-2 cloves. Shive Sarvartha Sadhike Sharanye Tryambake Gauri Narayani Namostute” for everyone’s welfare. Chant “Sarvabhadha Prashman Trelokykhileshvari Aevmey Tawaya Karyamasmadurveri Vinsanam” to avoid enemies and complete pending work. Chant “Sarvabhadha Vinimurtko Dhan Dhanya Sutanimt Manushyo Matprasaden Bhavishyati Na Sachay” to get rid of bhadha and to get child and wealth. Chant “Dehi Main Saubhagyamarogya Dehi Main Param Sukham Rupam Dehi Jayam Dehi Yasho Dehi Dwisho Jahi” for prosperity. Good Luck: Night worshiping is very important in Navratri. This fulfills all wishes.